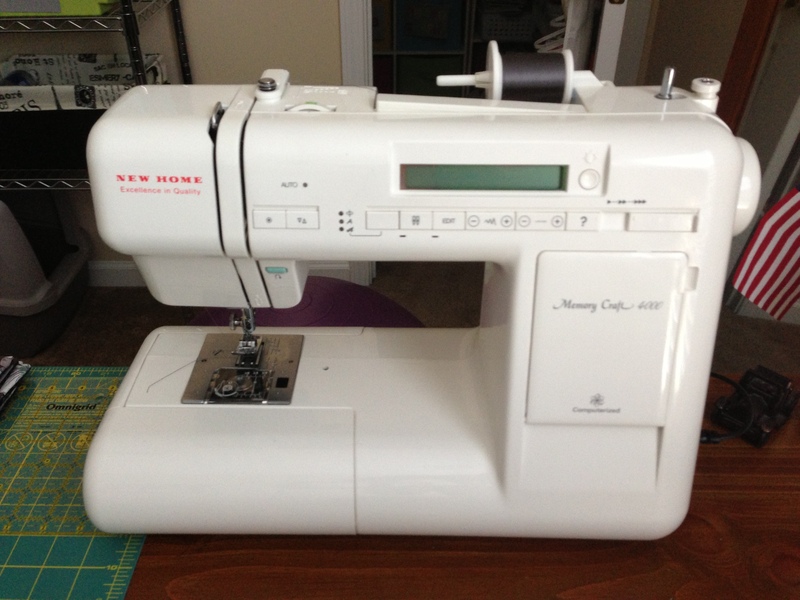 After sitting neglected in its box since middle school, my sewing machine is finally getting some love! When I was in sixth grade, I had planned to learn to sew, inspired by my mother’s stories of how her mother could look at a dress in a storefront and replicate it to perfection (and by the idea that I would be able to make clothes that would be tailored to my own proportions and not some ideal model generic standard). I may have an hourglass build, but I’m rather petite (5’0″) and muscular, which means storebought clothes made for a short, smallish person typically don’t accommodate my athleticism (le sigh). The best looking outfits I’ve ever had were handmade or custom fitted (translate: cheerleading uniforms and wedding dress) because they actually fit me. Anyway, my grandmother was an expert seamstress, right up until the stroke-induced dementia robbed her of her prodigious skill. My mother can sew a button, but a seamstress and a quilter she is not. My learning to sew options diminished rather rapidly, and other interests and activities took precedence–you know, things like school, cheerleading, music, friends, boys…. I decided to start machine sewing with some simple reversible napkins, and sew begins my journey towards becoming a seamstress and quilter. Stay tuned for the breakdown of how it went down!